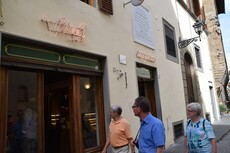 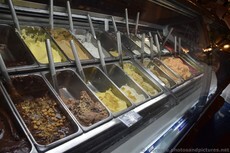 This was our first stop in our walking tour after leaving Piazza Santa Croce, and the gelato did not disappoint. 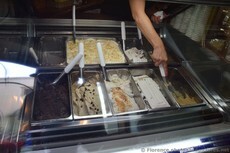 We tried the vanilla, the coffee, and tiramisu flavors- super creamy, dense, and sweet (though not overly). 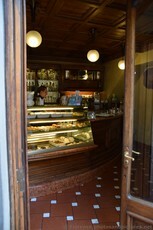 The cost was 2.50 to 5 euro, depending on the size of the cup. 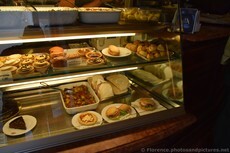 In these pictures you can see that they also sell other items such as sandwiches and cakes.